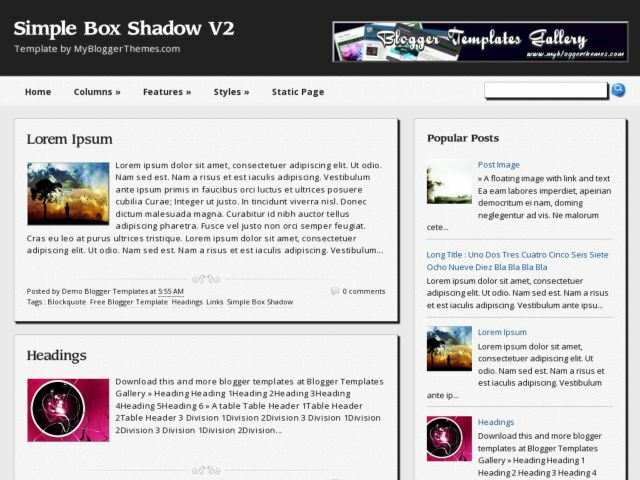 Simple Box Shadow V2 Blogger Template is the second version of the simple box shadow blogger template, this template is only a slight change, in the header, footer and menu. But there are also changes in the posts, sidebar and footer, such as the addition of curved lines in the upper left side. Template details : 2 columns, right sidebar, footer columns, box shadow, dropdown menu and google web fonts included in this template. This template is suitable for all types of blogs.